For those of you who have been paying close attention to the Ministry, you will know the name Alex White, or at least his work. 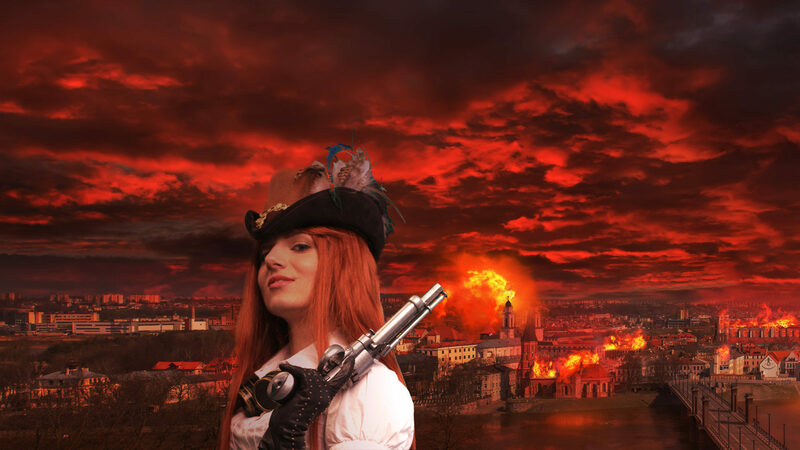 Alex has worked on a number of Ministry projects, including the theme music you hear in Tales from the Archives, as well as creating the Ministry crest. In the very near future you will be able to read Alex’s contribution to our Ministry Initiative anthology as well as producing the cover image for it. In short, Alex is a madly creative individual, but also the kind of person you want to work with. We first got to know him though through his podcast, The Gearheart. 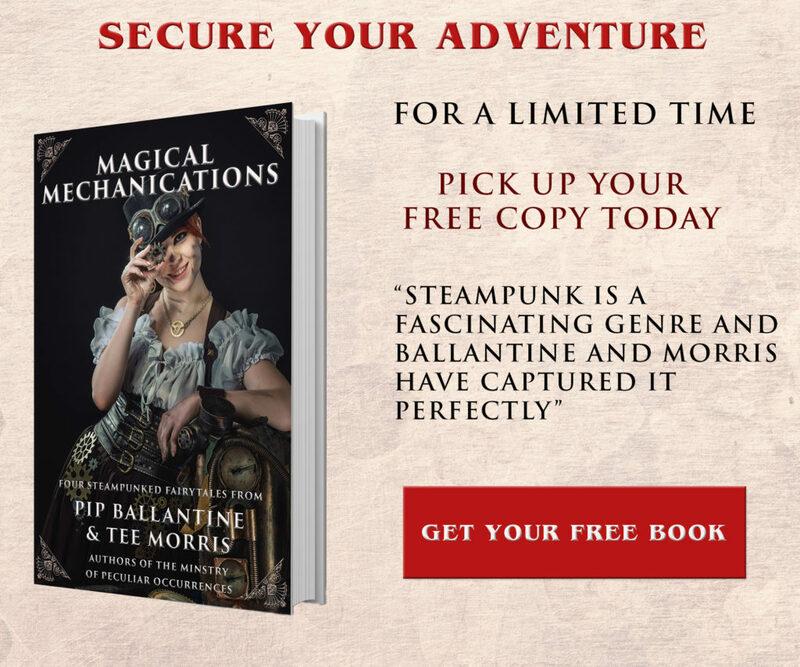 Full of magic…and steampunk or dieselpunk fun, if you haven’t listened, you really need to. Alex not only wrote the story, he also created a musical landscape for the podcast, AND shot a series of beautiful images to go with it. I was quickly hooked on Alex’s music, and for a very specific reason. Both Tee and I love to write to soundtracks, because they create a musical mood without the distraction of too many lyrics or unfortunate chair dancing incidents. So when Alex released The Last Day of the October Squadron, I knew I had to listen. Not being a music critic, I’m going to have to describe what follows in what I would write to these. The first few tracks (The Lake and Intentions, Please Breathe, and I’ll See Your Grave) are introspective feeling, full of gentle tender feelings sketched out on the piano. They resemble a poem from the Romantics; Keats, or Shelley. Handful of Rings starts out quiet, but then the bells come in, moving into a large orchestral sound, and then back again. I don’t know how Alex does that, but I love the journey he takes us on. For a Swim, to me seems to be handcrafted for a romantic moment, perhaps when love is revealed. Just Go, is packed full of urgency at the beginning, (I could see Eliza and Wellington running), and then becomes grander and more intense. The House of Usher would love to use the latter half I am sure! My personal favourite however is the Song of the Torch Bearer, the final track. This piece is so heart-breakingly beautiful at the beginning I can imagine (and probably will) write a romantic moment to it. However, like many of Alex’s tracks, it gradually builds to something monumentally epic. The clear, gorgeous voice of Kelsey Prater comes in, and you get that ridiculous, heart-swelling moment that truly makes me want to get pen to paper. This would definately be something to write an awesome climatic battle to, and without doubt it is one of my all time favourite songs from anyone…not just Alex White. These seven songs are all so well-crafted and enjoyable that you won’t regret spending the small amount of money for them. Also, you’ll be supporting an independent artist that is thoroughly Ministry approved. 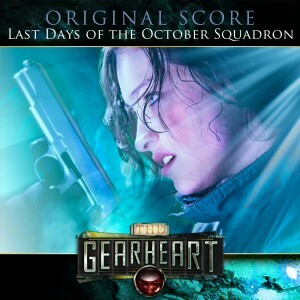 So go buy the The Gearheart: Last Days of the October Squadron, pick up Alex’s Maiden Flight of the Avenger and do check out the Gearheart podcast. I can’t wait to see what he comes up with next. I have a feeling its going to be epic!